At first, it sounded like a crazy idea, but hey, “anything to rid the life of its monotony”, I thought, pondering on the idea of visiting the beach one early morning. It was one of the umpteen interesting ideas our Mr. Initiative, Nataraj had come up with, and it did turn out to be an excellent one! The stream comes very close to the sea, but not really an estuary! It is highly uncommon for lazybones like us to wake up early in the morning, unless otherwise, the occasion is of that priority. But that fine day, early in the morning did we start, before the sunrise, for an outing at a beach not too far away. At first, we did not know where to head to, but, Nataraj took us through some nostalgia of his own, as we all went through the narrow roads and lanes. We hit the NH 17 highway (new number: NH 66) to Thokkottu and reached the Ullal railway station. Took the bumpy mud road towards the right and kept moving on the sea side until we reached a dead end. 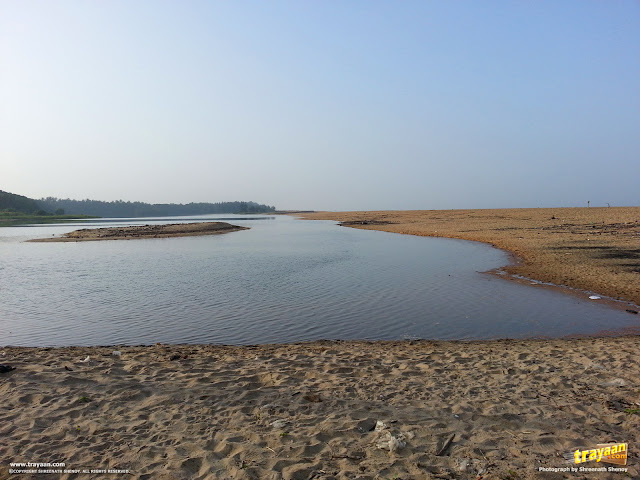 This place is ~16 kilometers from Mangalore City, and ~5 kilometers from the Someshwar Beach and Temple, in Ullal Someshwar. It is very close by Karnataka-Kerala state border. It's a beautiful place, where a stream, or a rivulet comes very close to the sea, but not really an Estuary. In some picture found on the web, snapped probably at an earlier point in time, , it does seem to form an estuary, or some river-mouth lagoon. Depending on the tides or flow of water, it might form an estuary. Fortunately, Shreenath had a camera along, and we could capture some of the blissful early morning moments. It was indeed a very picturesque morning, and I would now rather let the images do the thousand words speaking themselves. We wonderd, where does this stream join the sea?! It's a good tranquil, unexploited place. It is extremely peaceful and very clean, close to the city and yet far away from the city life and noise. The feeling of the feet meeting the sand is unique, as it's a mixture of coarse and fine sand. 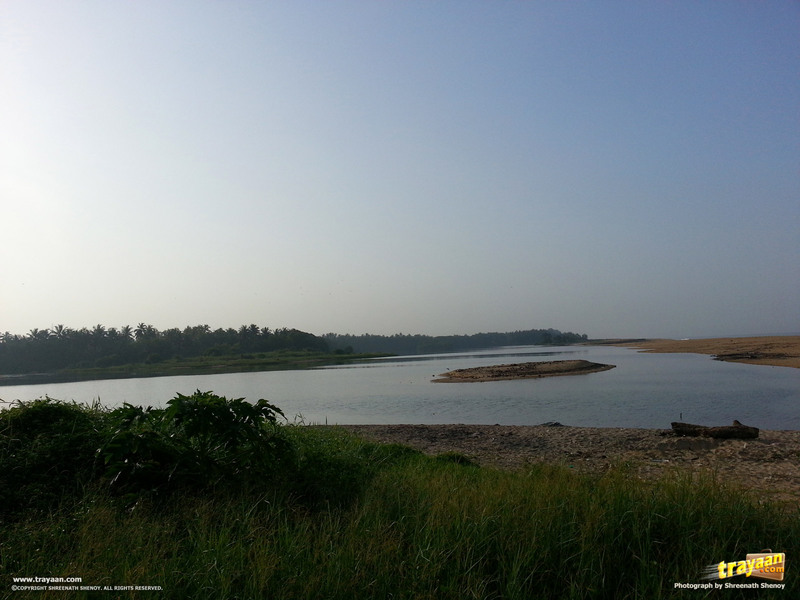 If you are in Mangalore or somewhere around it, or happen to pass by Mangalore or Thokottu and need to spend a couple of hours in the midst of serenity - then this is the place! Early mornings and evenings would be an ideal time to visit. It's a bumpy ride on a partially tarred road from Ullal railway station till the destination. There are no shops or markets near to the destination. 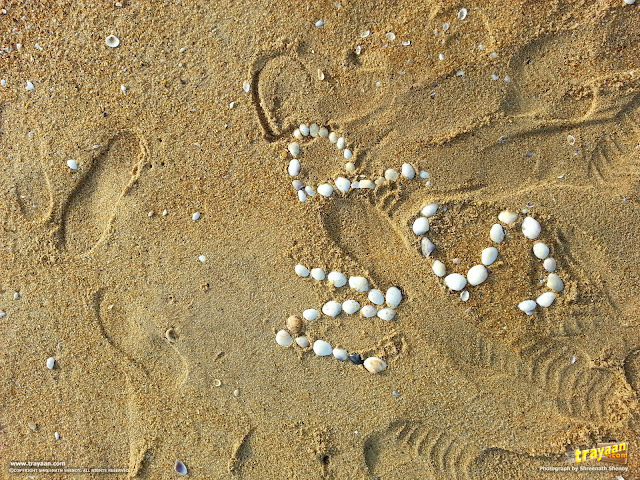 Remember, this is no tourist spot, but a tranquil, unexploited beach. If you have an irregular diet, be sure to carry some stuff to eat. Caution: It's quite a lonely and isolated location with not much people nearby, and hence it is better to keep away at darker hours and not recommended to go there if there are women accompanying. Well, sometimes we travel far and wide for peace, solace and bliss, but we never know that we can find them all someplace not so far. Early mornings are indeed beautiful, and do indeed cheer you up for the rest of the day! 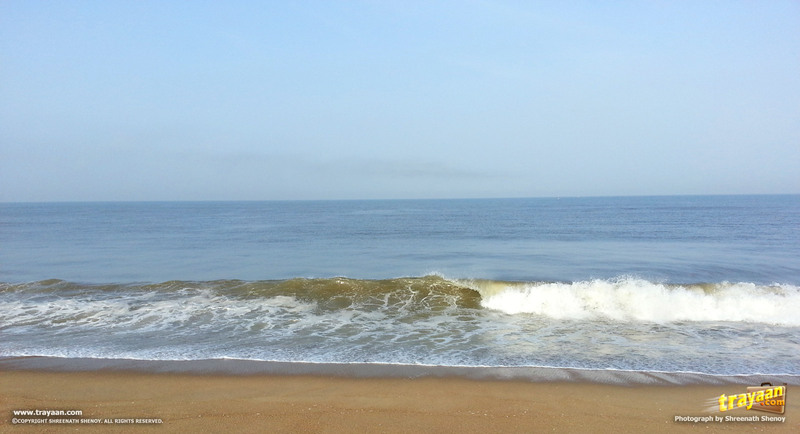 You can also visit the nearby Ullal Someshwara Beach, which also has the Someshwara temple. 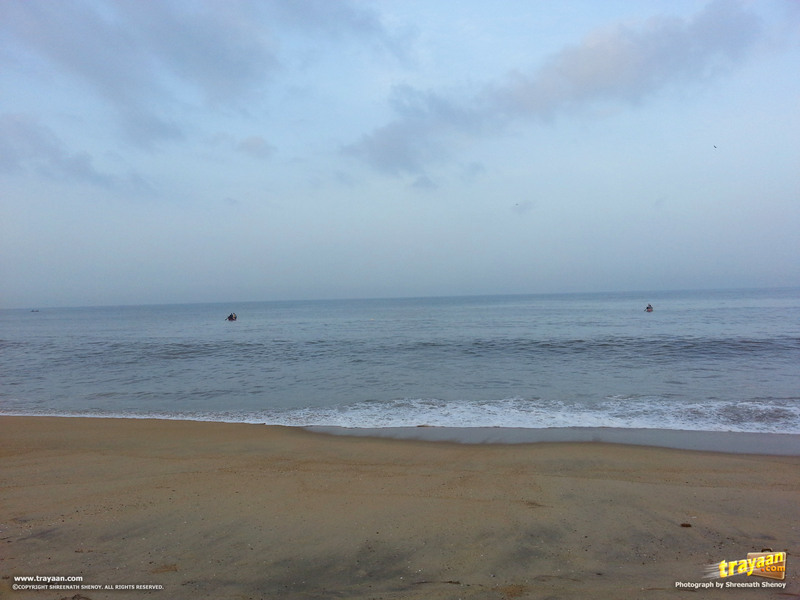 The best time to visit Mangalore or any other coastal place in India is during the winter. That is, from late September or from October to end of February or early March. As March begins, summer is at the doorsteps, and this place like any other tropical coastline, gets extremely hot and humid. Keep away during rainy days. Someshwar Beach, featuring huge rocks and the Someshwara Temple, near Ullal. Have you been to this beach? Share your Experiences and Comments.